The heads of several of the world's space agencies have proposed the creation of a climate observatory to pool acquired data and share it with scientists around the globe, according to a declaration adopted Monday in Paris. On the eve of the One Planet Summit organised in the French capital, the space agencies' chiefs met to discuss climate monitoring from space, including such areas as greenhouse gases, water resource management and the use of satellites during natural disasters. 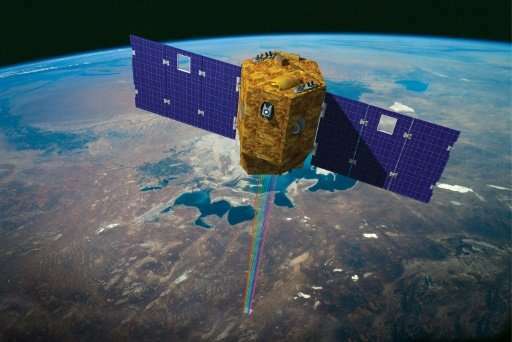 "Satellites are vital tools for studying and gaining new insights into climate change in order to mitigate its effects and help societies devise coping strategies," France's National Centre for Space Studies (CNES), which hosted the talks, said in a statement. It added that more than half of the 50 essential climate variables could be measured only from space. "The Paris Declaration we have just adopted proposes to set up a Space Climate Observatory that will act as a hub between space agencies and the international scientific community," the CNES president Jean-Yves Le Gall said after the meeting. He said that most countries did not currently share the climate data gathered by satellites. The countries that adopted the declaration initiated by France were China, Japan, India, Europe, Britain, Germany, Italy, Switzerland, Austria, Sweden, Norway, Romania, Israel, Ukraine and the United Arab Emirates. Absent at the talks were the Russian space agency and the US National Oceanic and Atmospheric Administration (NOAA). French President Emmanuel Macron is hosting a summit with world leaders on Tuesday two years to the day since 195 nations adopted the climate-rescue Paris Agreement, with the focus this time on the money necessary to implement the pact's goals. The United States under President Donald Trump has become the only country to reject the agreement.